Join UWC Bermuda on the Argus Walk the Walk. It’s that time of year again! 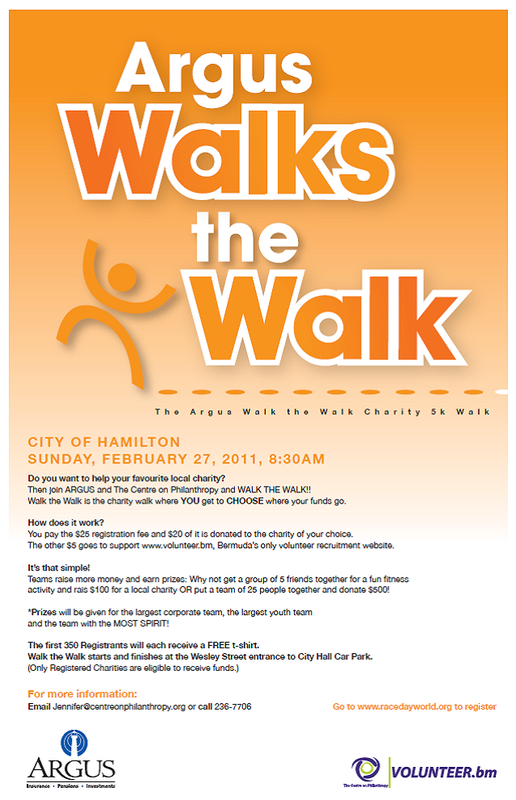 The Centre on Philanthropy, in partnership with Argus, are excited to launch this year’s Walk the Walk, the charity walk where the walker gets to choose which charity benefits from your registration fee. It couldn’t be simpler – go online to www.racedayworld.com to register and choose your charity as the one they want their registration fee to go to. Last year more than $12,000 was donated to over 60 charities by 532 walkers – we would love to beat this record, but it’s up to you and the people who love your charity. The UWC Bermuda charity number is 346 and we hope you will join us on our first fund raising event of the year. See the poster for details.